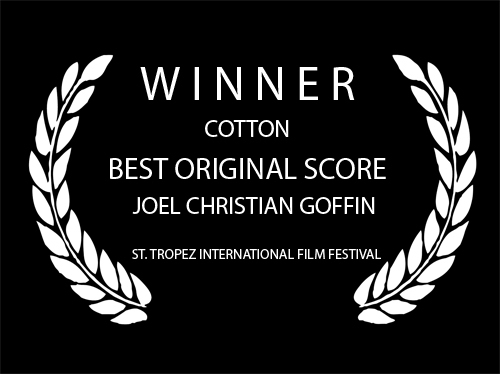 Joel Christian Goffin is an American film composer and music producer. He has composed music for a number of feature films, documentaries, video games, and commercials including the first African International Film Festival Trailer. With a background in classical music and a love for electronic synthesis, the electronic group The Midnight Foundation was formed in 2003. The Midnight Foundation, which members included Joel Goffin, Andrew Suhren, and Matt Harder, was a music group that's focus was on creating the heavy sounds of electronic music and mixing them with orchestral elements and live vocals. The group performed multiple live shows and was featured on The Crystal Method's radio show in California, Indie 103. In 2007, The Midnight Foundation opened up for the first annual Treasure Island Music Festival in San Francisco, CA., which included other electronic groups such as Thievery Corporation, DJ Shadow, and Gotan Project. In 2008, Joel began to further study film composition and decided to step away from the group to give it his full attention. By 2010, he wrote option cues for a film by Jeta Amata titled, "Inale." After being hired to write additional music for the award winning musical, he and Jeta began a strong working relationship which has continued throughout many films that have continued to win multiple awards and accolades. In the same year of meeting Jeta, Joel wrote the score for the film documentary, "Peace Through Education." Based upon the true story of an Afghan-American physician who returns to war-torn southern Afghanistan to build a school and bring real educational opportunity to the children of his home village. The score focuses on the eclectic sounds of Afghani culture's struggle and hope. The film was produced by Rock Creek Productions which also utilized Joel's talents for United Way and Department of Defense projects. By 2011, Joel had made a number of contacts in the industry and began composing scores for multiple films in multiple genres. With each film's production staff and style being unique, it has always been Joel's principal to accommodate the form and focus of each individual film director and producer. Although he doesn't reside in Los Angles, Joel communicates utilizing advanced remote sessions while integrating teams of audio professionals and technicians to deliver a polished, finished score. On time and ready for distribution. Every time.